The ultimate birthday celebration is almost upon us, as the United States of America turns 233 this summer. 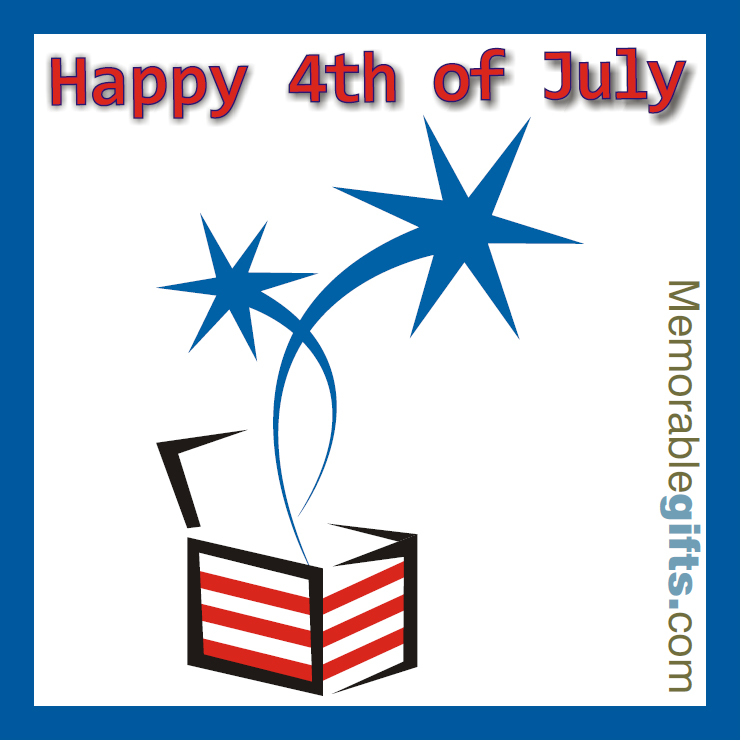 Let Memorable Gifts help you make the most of your July 4 celebration! We offer personalized gifts for barbecue’s and Fourth of July picnics, along with patriotic-themed gifts for the Americana enthusiast! 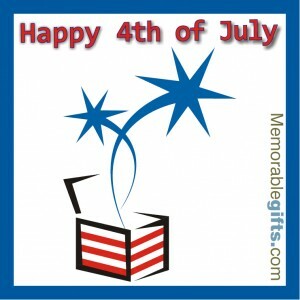 To help keep the celebration going, Memorable Gifts has created a one-of-a-kind Fourth of July label for all of your patriotic packages. In the tradition of the American flag, a red and white striped box features two blue shooting stars, with a “Happy 4th of July” salutation to announce the festivities. Celebrate America’s most important holiday with unique products from Memorable Gifts, ideal for the day of red, white and blue! After the fireworks, be sure to check out our full line personalized products for all your summer needs, from graduations and birthdays to weddings and anniversaries. Don’t forget the exclusive July 4th label is only available for a short time, so make Independence Day extra-memorable, with Memorable Gifts!